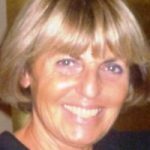 Mirella Filocamo is currently Head of the “Centro di diagnostica genetica e biochimica delle malattie metaboliche” at the Department of Research and Diagnostics, G. Gaslini Institute, Genoa, Italy. The Centre includes the “Cell line and DNA Biobank from patients affected by Genetic Diseases” that is part of the “Telethon Network of Genetic Biobanks” of which Mirella Filocamo is the Coordinator. The Biobank, established in 1975, stores biospecimens from more than 5200 patients of whom 1200 are affected by lysosomal disorders. Dr. Filocamo obtained a Bachelor of Science degree in Biology at the University of Pisa and went on to gain a postgraduate qualification in Medical Genetics at the University of Genoa. Her interests lie in genetic-metabolic diseases, especially lysosomal disorders and white matter disorders, as well as in cryopreservation and biobank regulations. She is a member of the European Working Group on Gaucher Disease, the European Working Group on Lysosomal Disease, the Italian Society of Human Genetics and the Italian Society of Metabolic Disorders. Dr. Filocamo has authored and co-authored several chapters in books and encyclopedias, and numerous articles in peer-reviewed scientific journals.